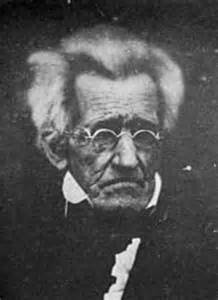 It is hard to believe that Andrew Jackson is even on the Twenty Dollar Bill. First of all, he wasn't that great of a President. His understanding of banking was totally wrong and his policies had disastrous effects on the economy. He probably set the country back 40 years. And he defied to Supreme Court and sent the Cherokee People on the infamous 'Trail of Tears' where thousands died on their forced thousand mile walk to the reservations. Second, he HATED the concept of paper money and it was one of his prime objectives to prevent its acceptance and use. One of the things that defined his Presidency was his battle to destroy the Second Bank of the United States...a quest which ultimately destroyed the economy. It took decades to recover. A great book to read if you are like me and have an interest in Wall Street history is Robert Remini's "Andrew Jackson and the Bank War". Its about Jackson's War against the Bank and Nicolaus Biddle, its Genius founder. Ultimately Jacksons vision of banking and the future of the United States was wrong, but as President he had the power to win.